DevOps is a revolution starting to deliver. The “shift left” security approach is trying to catch up, but challenges remain. We will go over concrete security approaches and real data that overcome these challenges. It takes more than adding “hard to find” security talent to your DevOps team to reach DevSecOps benefits. Our discussion focuses on the practical side and lessons-learned from helping organizations gear up for this paradigm shift. Simon is a 20+ year veteran of the IT and IT Security industry, Having started his career as a developer before ‘Agile’ was even a concept, he then moved into an operational security role for a global manufacturing company before holding a number of technical presales and evangelist roles for a number of network and hardware security vendors. 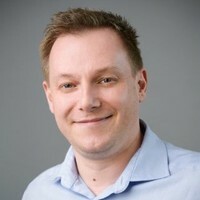 Now as a senior product manager for Outpost24, Simon brings uses his knowledge and experience to ensure customers are given the tools and solutions needed to run successful DevSecOps programmes.